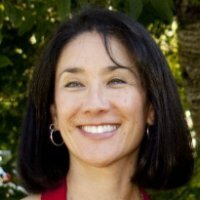 J. Reiko Callner is the Executive Director of the WA State Commission on Judicial Conduct. Callner is an “investigator” for the CJC and member of the WA State Bar, No. 16546. In other words, WA Bar Member Callner investigates other “Bar members”… and as she almost always does… she dismisses the complaints citizens file against those other Bar members who serve as judges. Clearly the deplorable state of our legal profession — that is our ”justice system” is a direct result of J. Reiko Callner’s sense of duty – none, and lack of any moral and ethical characteristics. Callner must be removed from office and, hopefully put in jail! Our judicial br, as typified by the likes of Joel Penoyar, is a disgrace and Callner is to blame. For these reasons I have filed a “Suggested Rule” in accordance with the WA State Supreme Court’s rule making procedures. This rule will put these corrupt public servants on notice that we want them to do their job that is entrusted to them or be removed. This Suggested Rule is needed to correct substantive flaws in the existing architecture of the courts which breed fraud, deceit, favoritism, prejudice and render the notion of a ‘fair and impartial’ hearing more myth than reality. Citizen’s right to call a Grand Jury. An aggrieved citizen who has suffered a claimed injustice resulting from conduct by any lawyer who holds any public office or franchise within the state, or any office in any corporation created by the authority of the state, may call a Grand Jury to present evidence of such lawyers misconduct. The Grand Jury shall be selected as in RCW 2.36 and then perform its regular functions prescribed by RCW 10.27.100 et.seq. to end of chapter. In addition, any citizen may call a Grand Jury and said Grand Jury has the sole authority to remove any public officer who holds any public office or franchise within the state, or any office in any corporation created by the authority of the state, if the aggrieved citizen has filed an information in accordance with RCW 7.56 and the public officer has not responded as required under RCW 7.56.050 and the Court has not removed such officer or started proceedings to remove such officer under RCW 7.56.050. This rule is necessary to codify the Constitutional rights of citizens as embodied in WA Constitution Article 1, Section 1, and to resolve the inherent conflict of interest that occurs when Members of the WA State Bar sit in judgment of their own conduct in either a judicial or quasi-judicial capacity. See RCW 2.28.030(1); See Canons of Judicial Conduct 2.11. Citizen of WA State file thousands of complaints yearly against lawyers with the WA State Bar. Complaints run the gamut from fraud, misrepresentations, false reporting and other serious statutory violations and breaches of a lawyer’s oath of office. It is a fact that the WA State Bar dismisses nearly every complaint filed, and they dismiss these complaints without an investigation or public hearing. Citizen of WA State file hundreds of complaints yearly against judges and justices with the Commission on Judicial Conduct. Complaints run the gamut from fraud, misrepresentations, false reporting and other serious statutory violations and breaches of a judges/justices oath of office. It is a fact that nearly every complaint filed is dismissed by the Commission without an investigation or public hearing. Because lawyers are occupying ever more vital government positions within the legislature, executive, judicial branch and within administrative committees, boards, agencies, the lack of speedy procedural remedy available to citizens to exercise their oversight of the governments that serve them, and the lack of true regulatory functions by the WA State Bar and Commission on Judicial Conduct means that “lawyers” are becoming our government and by their common association in the WA State Bar, our government is, or will soon be, an extension of the Bar’s power. Bravo! So-called self-regulating industries (cf. the financial services industry, aka “banksters”) have turned America into one big criminal enterprise where the concept of “rule of law” has simply become a joke to insiders of the industry concerned. The legal profession also suffers from this same too-big-to-jail/bail mindset. Yet, it absolutely must be tackled if the profession ultimately is to have any credibility. Like the financial services industry, it has gone way too far already. The systematic and self-serving corruption needs to be exposed, rooted out and effective remedies put into place. This is one of them. The incredible thing in this specific matter is that a complaint against Mr. Penoyar was dismissed by the Executive Director of a Committee of which Mr. Penoyar evidently is himself a member – without a word being said by Ms. Callner about the blatant conflict of interest or any measures that may have been taken to restrict Mr. Penoyar’s influence on her decision-making. This is unacceptable ethics on the face of it and not something that the public expects or would have any tolerance for if they knew about it. That a sitting judge could be allowed to be on any committee that lords it over those same sitting judges is incomprehensible in the first place. Ms. Callner needs to explain exactly what the relationship is between Mr. Penoyar and herself – as in who appointed who to their respective positions here and whether she would find it embarrassing given her personal job situation and the loyalties stemming from it to bring a complaint to the full committee about one of the committee members. There are a host of ethical issues that need addressing as soon as you scratch the surface of this. And the public appears to be getting the mushroom treatment on it. The utter hypocrisy goes still further, the “commission on judicial conduct” is suppose to be an “independent agency” yet it is composed of the very judges and justices of the Superior and Courts of Appeal. Exactly what is THEIR definition of ‘independent’? This is so far beyond ludicrous that there really needs to be talk of prison sentences for those on the committee. These are supposed to be highly educated and highly intelligent people in possession of their full wits by the very nature of their job functions as well as being role models for ethical behavior. The blatant conflict of interest here is on such an unsophisticated level that a 5-year old really needs no assistance in seeing it. It begs the issue of basic competency. I hate to say it, but now that it has been stated in the open that the emperor has no clothes – the WSBA literally has no other choice but to accept all their resignations and disbar them en masse. That is actually what it would take to restore the organisation to a level of credibility commensurate with its civic purpose. Any exceptions would just reinforce the bad impressions and serve to make it an object of disrespect by the population. A genuine remedy is needed, and quickly, not a bandage that will be viewed cynically by the public as business as usual. If you think the WSBA has been in-your-face blatantly corrupt in the past… their entire legal enterprise is now on the precipice of collapse. The only question is will this be a ‘scorched earth’ demise? In other words will the legal enterprise be willing to destroy our country just to try to retain their power over citizens? What is taking place in this small town of Port Orchard WA will either accomplish a civilized remedy or just add more fuel to the already blazing fire caused by the arrogant legal enterprise and people like Joel Penoyar and his entourage of cowards. We are pissed and we are not about to let these corrupt lawyers take what they want and do what they want by using people as their play-toys! This story needs to be widely circulated because it is going to get nasty or it is going to be glorious. I wonder how long it will take the Governor to grasp the political power he can attain in the State locally (appointing new judges) as well as the publicity he can swim in on the national stage by publicly requesting and then accepting the resignations from public office of all those on this committee. The temptation to do so must be enormous. One of the things that I would like to see here is for Ms. Callner to issue a statement to the effect that she has never been involved in a personal relationship with any of Mr. Penoyar’s 4 sons. That would help set some limits on the scope of the ethics problems involved and avoid any possible further surprises. I should also point out that motions/etc. filed with the State Supreme Court may be problematic within the scope of the evidently growing ethics scandal with Mr. Penoyar at its hub. He claims at the link provided below to have “earned” for himself “support from the majority of the State Supreme Court” in regard to the 2006 election. I have seen elsewhere where he has stated that a majority of the State Supreme Court “endorsed” him for the 2012 election. With such a favorable bias towards him already documented in public by Mr. Penoyar himself, the stench of the ethics problems may well also settle over the Supreme Court itself if these filings are not handled in accordance with the gravity of their content. According to at least one member of the Committee, all electronic correspondence once received by its members and staff are not subject to Constitutional privacy barriers to disclosure. So with support of the majority opinion written by Mr. Penoyar himself, it should be possible to request all the Committee’s correspondence for purposes of discovery relating to these filings. No warrant evidently is needed. She has dismissed my complaints too of obvious misconduct. I have written a book outlining these things hoping to expose it. One day I hope we see something being done about all of the corruption rather than cover up after cover up. Lynda, there is something being done, and you might want to be involved. A lawsuit has been filed against J.Reiko Callner for “official misconduct’. The fact that his lawsuit is filed by a non-attorney (ME) means i cannot represent your interests in having Ms. Callner obey the law. However, the rules of the court, must allow you to “intervene” in your own behalf. This means you can be added as the “intervenor-plaintiff” in this lawsuit and have your story told to a jury. Of course you can always be a “witness” but as an “intervenor-plaintiff” you would be entitled to a “damage award” if J. Reiko Callner is found guilty. Here is the story about one such “intervenor-plaintiff” CR 24 motion to intervene in his own interests. The function of a committee to deal with judicial misconduct is crucial to the ability of a system of law to work not only in the present, but also to be sustainable in the future. It is the safeguard intended to remove judges who are totally unsuited for the role as well as, consequentially, prevent the accumulation of case law that step-by-step compromises the underlying foundation of the entire legal system, setting up a complete systemic collapse. Consider the right and left brain paradigm for a second. One side is dominated by the will to ”achieve a result” i.e. to create a resolution to an issue by brute force, which we tend to think of as a short-term focus. The other side is characterized by ”wisdom”, meaning that it prefers to solve problems within a broader, integrated whole by taking into account a more comprehensive set of effects on the stakeholders. In other words, folks dominated by the one mindset shift, or even create further, problems to somewhere outside their own personal responsibility, whereas the other type actually builds and benefits the society as a whole by genuinely resolving contentious problems. Judicial misconduct is an indicator of a judge with a ”brute force” mentality. It is an important signal about the suitability of the individual for the role. In Western societies, the ”brute force” of execution is the realm of the police. The wisdom of considered judgment is in contrast supposed to be the realm of the judiciary. When a judge is so narcissistic and short-sighted as to be challenged/frustrated by the need to provide wisdom instead of brute force in the courtroom, then the system is not functioning as intended and in fact will destabilize if the situation is not rectified – both by the accumulation of folks who are livid over the judiciary’s lawless acts as well as the accumulation of inappropriate case law that ultimately erodes the very basis of the rule of law in a society. So the committee is one of the most important guarantors of the legal system itself. Evidently most of the folks on it are more suited for the role of police chief than judge. The function of the committee is to remove such folks as they manifest their unsuitability. By all accounts, and including my own personal experiences since before the year 2000, it appears that this function has been attributed a trivial status by the WSBA – RATHER THAN THE ROLE OF GATEKEEPER TO THE VERY WISE JUDICIARY THAT THE POPULATION PRESUMES IT IS GETTING. It is not enough to pay lip service to the definitions. The judiciary also must also walk the talk. My Judicial ethics case against Island County Superior Court Vicki Churchill was just dismissed by R. Reiko Callner. Churchill blatantly violated several WACs in my property valuation case against the State Board of Tax Appeals and the Island County Assessor. There is no justice in Washington State, from the bottom up! While I don’t know the specifics of your case, you may want to review RCW 42.20.080 which makes it “unlawful – a gross misdemeanor, to violate any provision of law “regulating” his or her “official conduct”. For lawyers, RCW 2.48.210 “defines” their official conduct as does RCW 2.48.180, which calls into law the Rules of professional conduct via RCW 18.130.180 (the “unprofessional conduct” statute). If you believe these laws apply to your situation you may want to file a ‘tort claim’ with the office of Risk management and help us in our lawsuit against the state for allowing “judges” to aid and abet in criminal conduct!